With the exception of climate change, biological invasions have probably received more attention during the past ten years than any other ecological topic. Yet this is the first synthetic, single-authored overview of the field since Williamson's 1996 book. 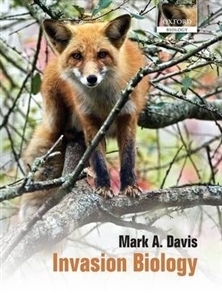 Written fifty years after the publication of Elton's pioneering monograph on the subject, Invasion Biology provides a comprehensive and up-to-date review of the science of biological invasions while also offering new insights and perspectives relating to the processes of introduction, establishment, and spread. The book connects science with application by describing the health, economic, and ecological impacts of invasive species as well as the variety of management strategies developed to mitigate harmful impacts. The author critically evaluates the approaches, findings, and controversies that have characterized invasion biology in recent years, and suggests a variety of future research directions. Carefully balanced to avoid distinct taxonomic, ecosystem, and geographic (both investigator and species) biases, the book addresses a wide range of invasive species (including protists, invertebrates, vertebrates, fungi, and plants) which have been studied in marine, freshwater, and terrestrial environments throughout the world by investigators equally diverse in their origins. This accessible and thought-provoking text will be of particular interest to graduate level students and established researchers in the fields of invasion biology, community ecology, conservation biology, and restoration ecology. It will also be of value and use to land managers, policy makers, and other professionals charged with controlling the negative impacts associated with recently arrived species.